There are many things I leave the house without, but my purse always comes with me. I know thats probably the same for most you gals! Our bags are filled with our daily must haves like lipstick, gum, candy and oh tampons! Even when I am not on my period, I always have a couple in my bag just in case I can help a sista out! My sisters and I have been using Tampax for as long as I can remember. I am so excited to share that they got a refresh! First of all, the packaging is floral, (I mean totally awesome right?!) but more importantly, it’s a pocket size now available at Walmart! 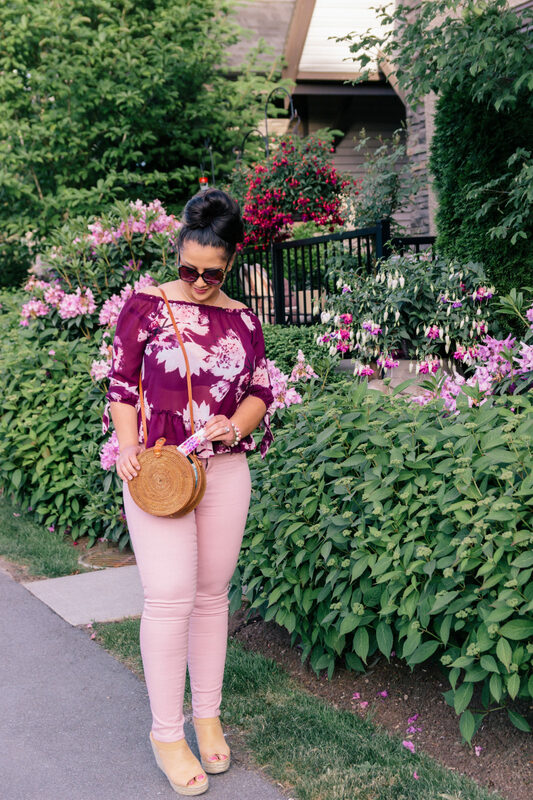 It still features Tampax’s superior width-wise expansion and LeakGuard Braida protection system but in the perfect size for your bag. I love the purple pocket size applicator and the re-sealable wrapper. 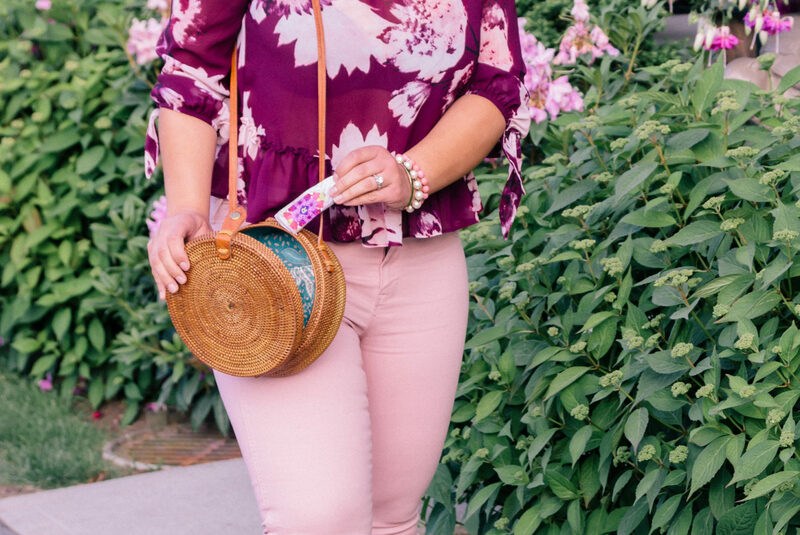 I don’t know about you, but I always love to see what other gals have in their purse! So I am sharing with you what’s in my bag. My compact foundation for when my makeup gets messed up from the weather. Advil is something I never go without! Another item that you can help someone else with. Of course a couple Tampax Radiant tampons! My favorite lipstick that is also super moisturising so I don’t need to carry a chapstick as well. My hands are constantly dry so a good hand cream is always in there! I have several deodorants and one always stays in my bag. A pair of sunnies because I always seem to misplace my car pair! A collagen coffee creamer. I often go on coffee dates and will use this instead of the regular creamer. Oh, and tons of receipts and notes that didn’t make it in the shot! 😉 I would love to know what’s in your purse! Let me know in the comments below. 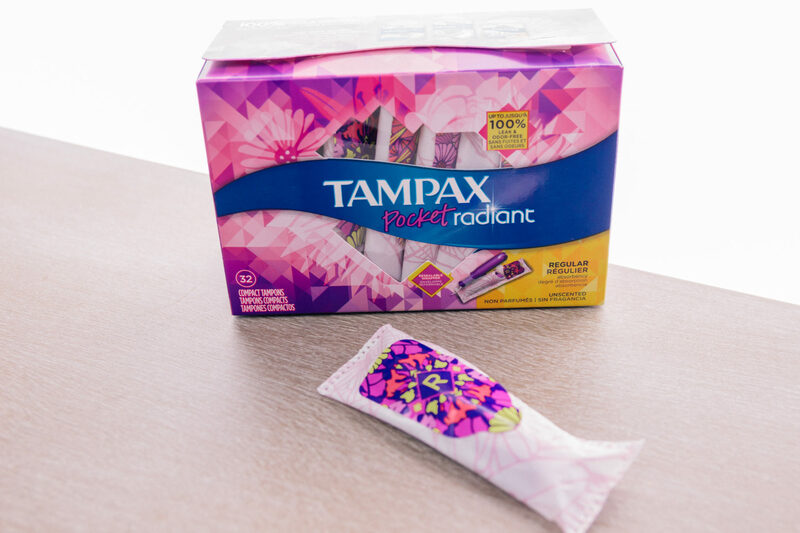 Be sure to pick up a box of the pocket size Tampax Radiant at Walmart and throw a few in your bag so you are always prepared!